A new tape of measured synth divinations by the man from Digitalis Industries. 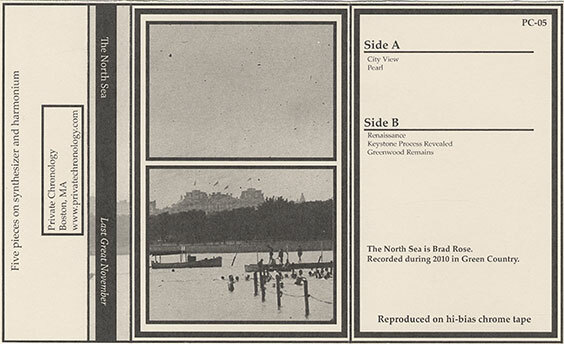 Divorced somewhat from the blackened eruptions of The North Sea's prior releases, the pieces herein offer more than the occasional warm wash of light amidst bleak, grinding oscillations, and with harmonium on the assist, even. A well-paced and balanced mix of auto-oscillations and hand-played keyboardwerk that points the way to an exciting new direction for this project.